CRAWFORDSVILLE, Ind. 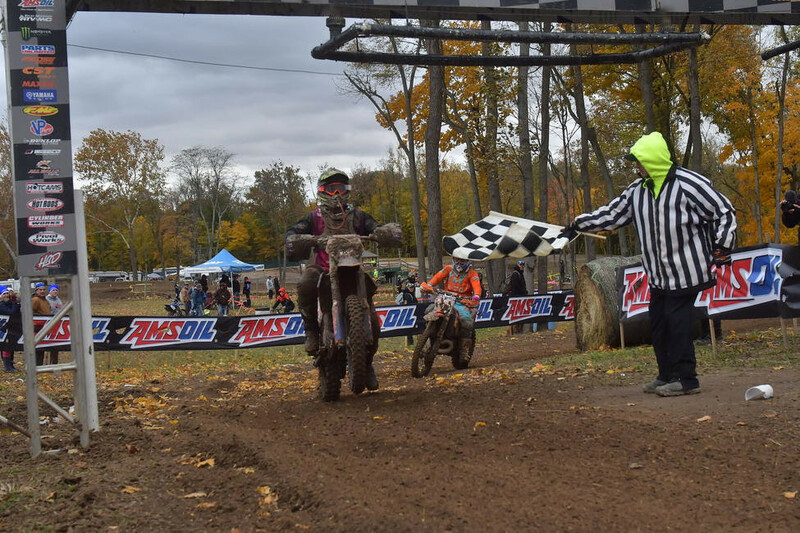 - This weekend's AMSOIL Ironman GNCC signified the end of the season for the 2018 AMSOIL Grand National Cross Country (GNCC) Series, an AMA National Championship. 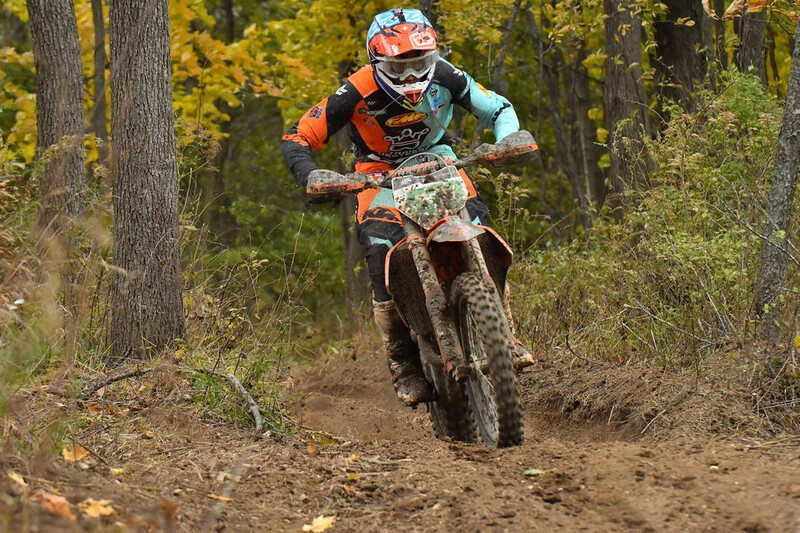 On Sunday, October 28 some of the best off-road motorcycle riders took to the woods in Crawfordsville, Indiana for the 24th annual event. 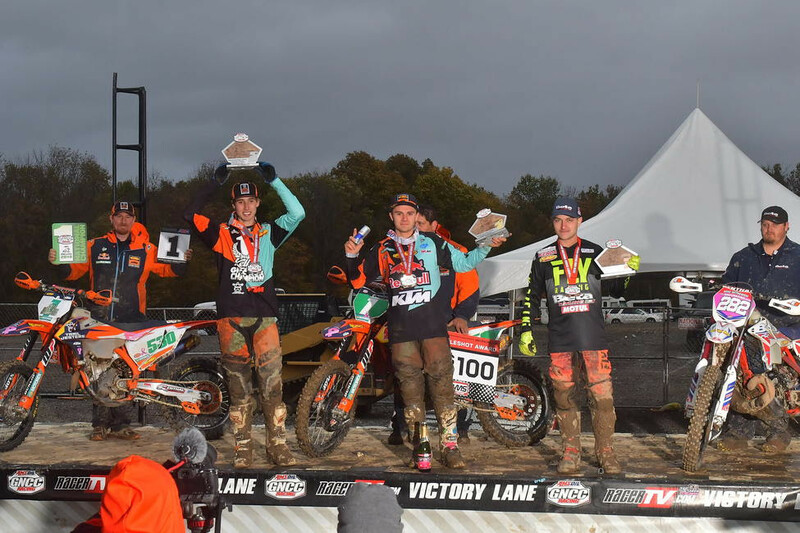 With two of the frontrunners out of this weekend's race, Tely Energy Racing/KTM's Steward Baylor Jr. came away with his first overall win of the season. As the race began it was Rockstar Energy/Leatt/Maxxis' Ryan Sipes grabbing the early lead and taking home the $250 XC1 Wiseco Holeshot Award. However, after a crash on the first lap Sipes would come through timing and scoring in eleventh place. Ultimately Sipes would end his day early after pulling off during the second lap. JCR/Honda/Lucas Oil's Trevor Bollinger held the lead early in the race, battling at the front hopeful to earn his first win. 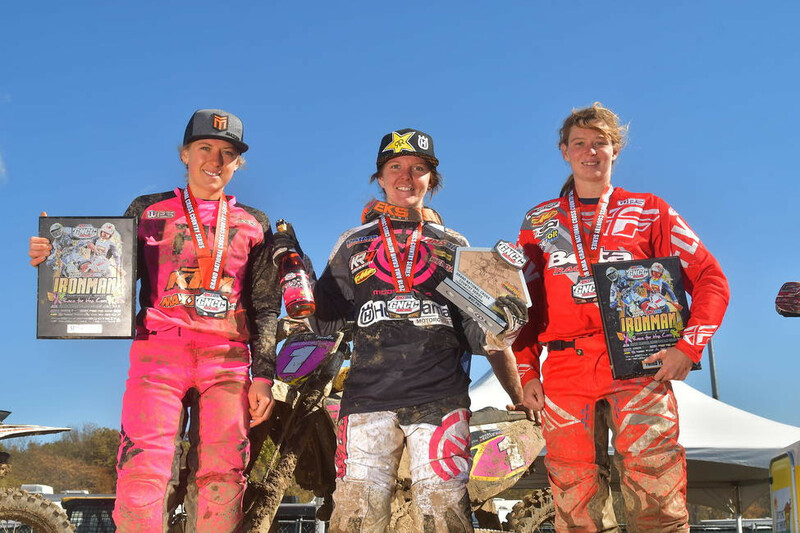 Bollinger would battle with Baylor Jr. throughout the duration of the race, while Rockstar Energy/Factory Husqvarna Racing's Josh Strang made his way through the pack after starting in the sixth place position. As the white flag came out, Strang had his sights set on Bollinger and would make the pass stick before the checkered flag flew. With Baylor Jr. taking the win that moves him into third place in the National Championship points standings. AmPro Yamaha's Ricky Russell was off to a good start running second and third for the first part of the race, however on lap four R. Russell would find himself back in the fourth place position. R. Russell would continue to battle back but would ultimately secure his spot. Tely Energy Racing/KTM's Grant Baylor found himself running third early in the race but would eventually fall back to sixth place before making the pass stick on KR4/Husqvarna's Layne Michael for fifth. Michael did not get the start he wanted, but after running in the seventh place position for majority of the race he would battle with Coastal Racing/Husqvarna's Pascal Rauchenecker while trying to make his way around to secure sixth place. Michael would make the move past Rauchenecker when the white flag came out on lap five, securing his sixth place finish with Rauchenecker placing seventh in the XC1 Open Pro class. Beta USA's Jordan Ashburn came through in the eighth place position to end the season, while Factory GasGas/FAR's Andrew Delong and Solid Performance KTM/Fly Racing's Jesse Groemm rounded out the XC1 Open Pro top ten. As the XC2 250 Pro class took off it was FMF/Factory KTM Racing's Josh Toth grabbing the $100 Hot Cams XC2 Holeshot Award and early lead. As the first part of the class came through it was Trail Jesters/KTM's Ben Kelley leading the way and the overall on adjusted time. Toth would come through in second and the battle for the XC2 National Championship was on. The two would swap positions multiple times before Kelley was forced to pit where the KTM crew performed a tire change. Kelley would return to the race in second-place, with Toth reclaiming the lead. Toth would continue his charge, finishing ahead of Kelley for his sixth win of the season and also earning the second overall position against the XC1 Open Pro competitors. Kelley was able to put his head down and push on the final lap to bring home his first-career XC2 250 Pro Championship. 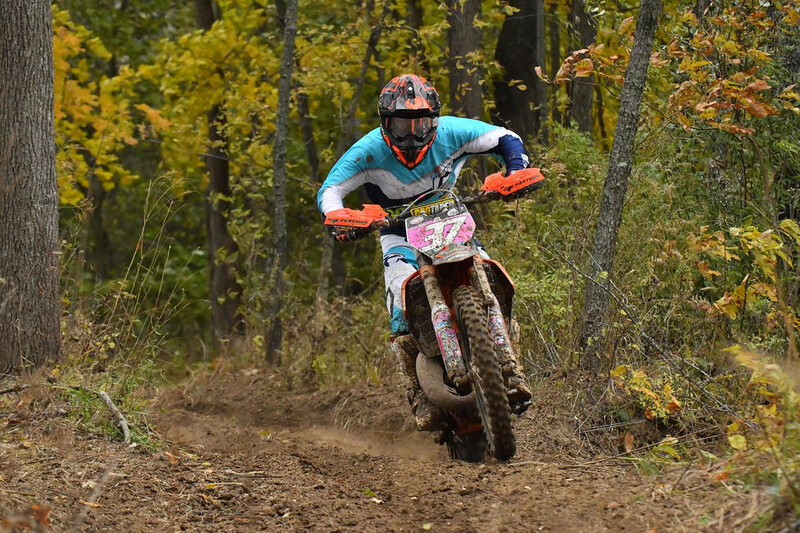 Beta USA's Mike Witkowski has been steadily improving throughout the season, and after finishing fourth two weeks ago in Ohio he made the move into third this weekend. This marks Witkowski's first XC2 podium appearance of the season, and his best finish on his Beta motorcycle. Coastal Racing/Husqvarna's Craig Delong finishing in the fourth place position, while Husqvarna-backed rider Evan Smith rounded out the top five. When the FMF XC3 125 Pro-Am class took off it was the Sherco rider, Daniel Mundell taking the $100 FMF XC3 Holeshot Award. However, it was FMF/Maxxis/RPM KTM's Jesse Ansley taking the last win of the season. Chris Bach and Jake Froman would round of the FMF XC3 125 Pro-Am podium. Taking home, the top amateur honor was Open A competitor Ben Parsons followed by Connor Smith in second and 250 A class winner, Jojo Bowden in third. With the 10 a.m. race consisting of 893 rider entries, it was Sportsman A Jr. competitor Joshua Lee taking the overall win. Tayla Jones came through second overall and first in WXC followed by fellow WXC competitors Becca Sheets, Rachel Gutish and Mackenzie Tricker rounding out the top five. In the youth 8 a.m. race it was Joseph Cunningham taking the overall win, followed by Max Fernandez and Grant Davis rounding out the top three. At the conclusion of the race it was Max Fernandez being crowned as the 2018 Youth National Championship. 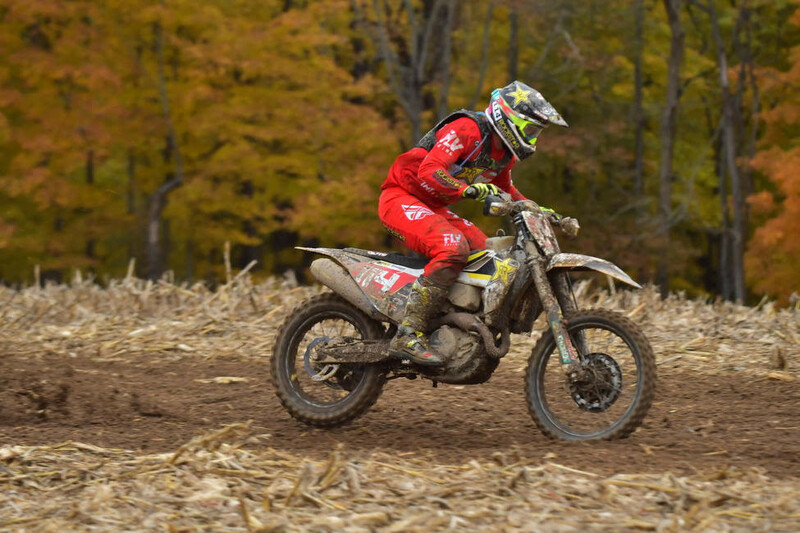 Canon Kuneff finished fourth overall and took home the 85cc (12-13) class win with Garrett Mundy taking fifth overall. The 1 p.m. Bike Pro race was broadcast LIVE in its entirety on RacerTV.com and can be viewed as archived video online by visiting the GNCC LIVE page online. Two highlight shows featuring the event will be aired on the NBC Sports Network with the Ironman Bike show on Sunday, November 18 at 1:30 p.m. EST and the Ironman ATV show on Sunday, November 25 at 5:30 p.m. EST.